Over the years WBEZ captured thousands of marquee moments in Chicago. Here are just a few of them. They showcase rising stars and personal transitions, audible expressions of joy and regret. Each of them reminds us of a place and time; minutes and seconds captured and recorded for posterity and reflection. This showcase of moments will grow over time and become, we hope, a rich archive to explore and share. Chicago Amplified is WBEZ's celebration of a significant milestone: 25 years of Independent Media. As Chicago's premier public media service and one of the first charter members of National Public Radio (NPR), WBEZ was originally an extension service of the Chicago Board of Education. In 1990, Chicago Public Media acquired the WBEZ license and became an independent, non-profit media organization. As we strengthen the station for the future and lay the groundwork for the next generation of public radio listeners, we begin the 25th anniversary celebration on October 20th with the Gala. A series of events and programs follow the rest of the year. The unlikely bedfellows of dance and radio meet in an inventive, funny, and joyful production by This American Life radio host Ira Glass, with choreographer Monica Bill Barnes, and dancer Anna Bass. A 'charmingly homespun show - which traces interlocking themes of love, mortality and dedication through live talking, dancing and radio snippets' (The New York Times). Where were you in 1990? The United States launched Operation Desert Storm, Aerosmith appeared on Wayne's World, East and West Germany reunited, and the list goes on. Six WBEZ personalities, along with six cutting-edge storytellers and poets, will work through the year - month-by-month, one compelling tale at a time - to bring that pivotal year alive again. This program is presented in partnership with the Chicago Humanities Festival. Enjoy cocktails and hors d'oeuvres while enjoying non-stop, fabulous entertainment including: stories from THE MOTH; live music from DIANA AND THE DISHES; and tunes from DJ Ayana Contreras. Recognized for its enterprise journalism and narrative storytelling, WBEZ 91.5 FM, the flagship station of Chicago Public Media, recently celebrated its 25th anniversary as an independent public media service. The occasion was marked with a sold-out gala dinner celebration which took place at the Four Seasons Hotel on October, 20 2015. 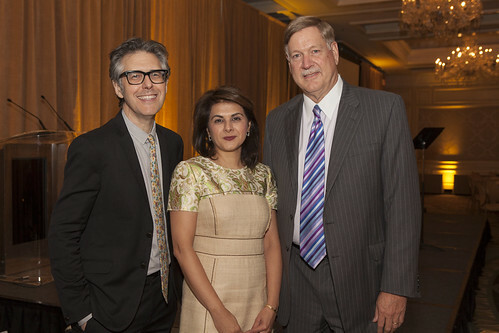 The keynote address was presented by Chicago Public Media President and CEO Goli Sheikholeslami, followed by a closing tribute to WBEZ's unique place in public media by This American Life host and executive producer Ira Glass. The evening was also highlighted by the honoring of long-time station supporters Robert "Bud" Lifton and James Mabie. We invite you to relive some of the memorable moments from the gala celebration as well as a historical video showcasing WBEZ's rich and vital role within the community. Finally, we hope you will enjoy this brief story which captures the WBEZ experience. We would like to recognize and thank our Gala Presenting Sponsor, Host Committee, and Patron level supporters. Ghetto Life 101 - UNKNOWN. If you are the photographer, please contact us.